The son of the Late Reverend Willie Stevens, Jr., and the Late Rose L. Stevens, was born in Westlake, Louisiana. He is the fifth of seven siblings. Growing up in a Christian home, Reverend Stevens was taught the meaning of prayer and the benefits of loving the True and Living Savior, Jesus Christ. At an early age, Rev. Stevens showed a keen interest in the church and the music ministry. His musical talents were evident even then, when at the age of five years old, he sang his first solo and by the age of ten years old he was playing the piano without any formal musical training. Reverend Stevens accepted Christ and was baptized by his father in June 1972 at Straightway Baptist Church in Moss Bluff, Louisiana. Reverend Stevens was always very actively involved in the Christian community through his work at Straightway where he served faithfully in many capacities to include, Minister of Music, Sunday school teacher, usher, and youth ministry. Reverend Stevens was educated in the Calcasieu Parish School System and graduated with honors in May of 1983. In pursuit of bettering his life and gaining a greater level of personal knowledge in education, Reverend Stevens attended McNeese State University in Lake Charles, Louisiana where he began formal musical training. His education continued at Xavier University of Louisiana in New Orleans. While there, he made an indelible impact as Minister of Music for the campus ministry gospel choir, a member of the Student Government Association and Brother of Alpha Phi Alpha Fraternity, Inc. He graduated in May 1992 with a Bachelor of Arts Degree in Music. He later attended Loyola University in New Orleans and obtained a Master of Music Degree in vocal performance. Reverend Stevens has also attended New Orleans Baptist Theological Seminary and completed his Doctor of Ministry degree in August 2009 at The Lake Charles Bible College in Lake Charles, Louisiana. Reverend Stevens made a public declaration of his calling and preached his first sermon on February 15, 1997 at St. Thomas Missionary Baptist Church. He was licensed on June 1, 1997. After careful consideration and observation, he was ordained by the Louisiana Freedmen Missionary Baptist General Association on February 18, 2000. 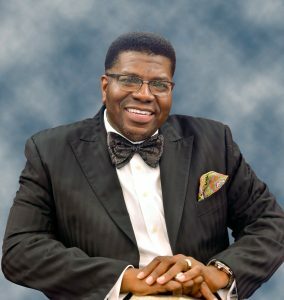 The Lord has tremendously blessed Reverend Stevens with the unique pastorate of the Mount Zion Baptist Church of New Orleans, Louisiana on November 15, 2001 and the Pilgrim Baptist Church of Kenner, Louisiana on June 5, 2004. He is the proud husband of the former Kerri Lynn Ratcliff, who he considers to be his spiritual confidant and prayer partner. He often says that Kerri has always been responsible for making his home a sanctuary. They are the proud parents of Mitchell Jerome Stevens, II and Mariah Janae’ Stevens. On December 14, 2007, Reverend Stevens recorded his very first live gospel recording entitled, “Experience Praise Live”, with the combined choirs of Pilgrim and Mount Zion Baptist Churches. The recording was released June 2008 with rave reviews. Director/ CEO – Mount Zion Community Education Foundation, Inc.
Pastor Stevens has chosen to live by the words that declaratively state, “If I can help somebody as I pass along, then my living shall not be in vain.” It is his most fervent desire to help others in whatever way he can, as God gives the directions.